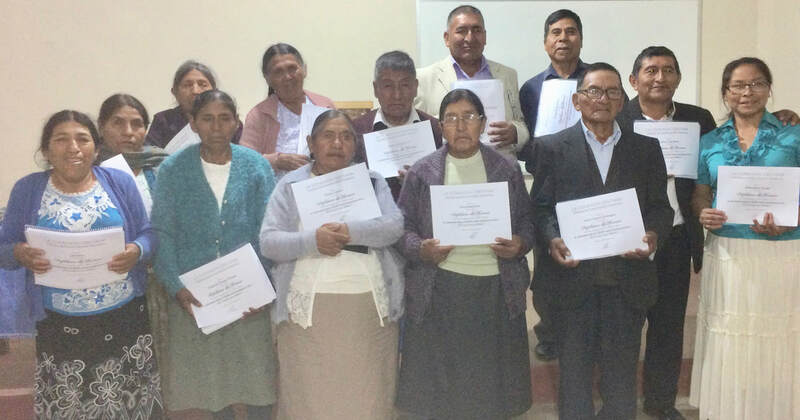 Members from Villa Pagador receiving their certificate of completion - "Biblical Christianity." The Semo family from Trinidad, Beni. National Leadership Workshop - Roland teaching Romans. Via el Mar - Visits from brethren from Santiago. Butch, Trish, Claudio, Teofilo, Rebecca and Marcos. Rebecca is from Cochabamba but is now living in Santiago. Every year we get to travel to Viña del Mar to visit the church there. We continue to have an excellent relationship with them. Since a few years ago we have added Buenos Aires to that trip. We have become very close to a couple of the congregations there, specially the new one that was started just a few years ago. We had a wonderful trip although by the time we got back we were a bit tired. Our first stop was in Buenos Aires. We were invited to work with an area wide youth camp which was held just outside of the city. This camp in particular lasts a full week, which gives us an excellent opportunity to connect with the kids, counselors and others involved in the organization of the camp. Our AIMers were able to accompany us on this occasion. The theme of the camp was “Connection Unlimited”. While in Buenos Aires I was also blessed with the opportunity to speak at a couple of the congregations and with many of the members. Our second stop was Viña del Mar, Chile. We spent 11 days there making the rounds visiting the different families in the church and leading a Bible study series on 1 Peter. Even though the church has gone through some transitions and difficulties they are doing very well. Hernán continues to serve as the local evangelist while many of the men continue to serve as the back bone of the church. We were encouraged by our visit and are so proud of how well they are all doing. One of the things that really encouraged us was how involved some of the young people are. When our family was there they were just little children. It is great to see them involved and committed to the ministries of the church. On the last Sunday we were there, Teófilo, Claudio and Marcos from Santiago, and Rebecca, originally from the church in Cochabamba and who now lives in Santiago, surprised us with a wonderful visit. We experienced a whole array of emotions while worshiping with brethren from the different works we have been involved with. What a blessing! We were also able to spend 10 days in Mendoza visiting, primarily, Trish’s Mom who continues to be my favorite Mother in Law. She was supposed to return to Bolivia with us but due to a couple of falls and the injuries she has suffered that was not possible. Lucy is now 87 years old and even though we found her very frail, health wise she is doing great. We ask that you continue to pray for her as she would like to make one last trip to Cochabamba, where she has made many friends and is dearly loved. God continues to bless us and the different areas of ministry we are involved in. Currently we have 3 AIMers working with us. Marj and Cole have returned to the U.S., although Cole is planning on coming back to Cochabamba. 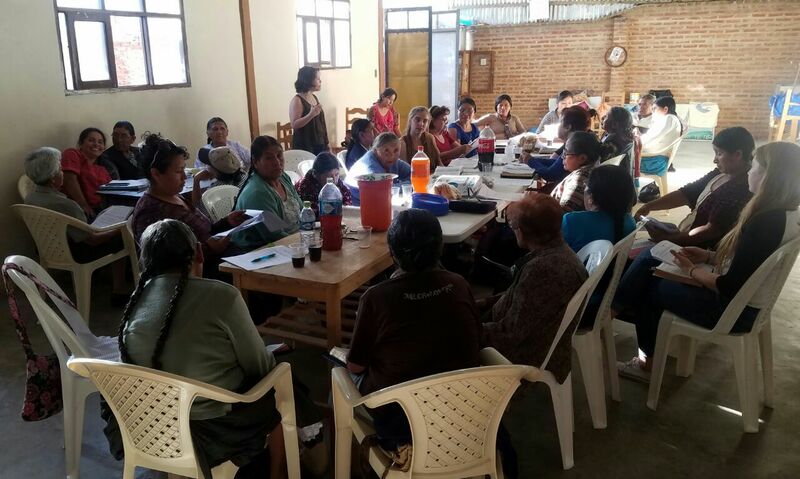 So, Sarah, Jessica and Hollie remain in Cochabamba working in their different ministries. In May, Connor ands Brandon will be joining us also. Since our last newsletter we have had 2 excellent National Leadership Workshops. 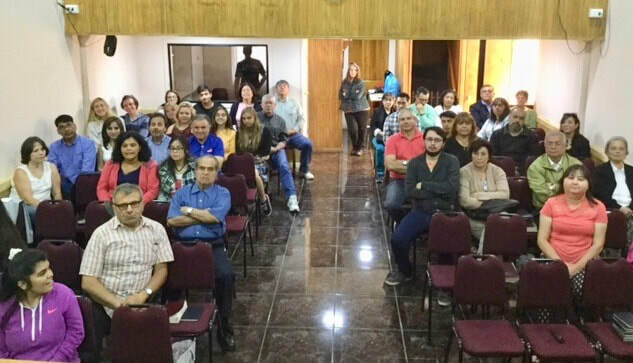 First of all, Justin Sims, from Buenos Aires did an awesome job teaching a series on the Minor Prophets, “12 Lessons on the Righteousness of God.” This particular workshop ended up being one of the largest we have had. In March, Roland Bowen did an awesome job leading Part 2 of our series on Romans - “Justified by Faith”. In September of last year we went through Romans 1 thru 8 with Roland, but ended up doing it via Skype. Hurricane Irma closed down the Miami airport and all flights were cancelled, including Roland’s. This time it was great having him live in Cochabamba. He did a great job emphasizing that God’s plan of justification is for everyone; through Jesus we all become part of the same nation, spiritual Israel; serving the same God; participating in the same body; and always looking out for the well being of others, even those who might be considered our enemies. We had a total of between 50 and 60 in attendance each day. 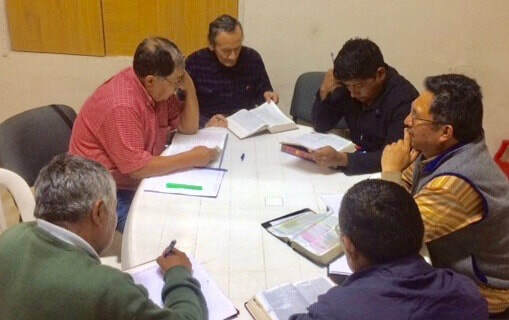 We had men and women come in from Sucre, La Paz, Santa Cruz and the 3 congregations in Cochabamba. Our next workshop will be in early June. Jonathan Hanegan will be here to lead us in a study of Exodus. At the same time Katie Forbess will lead a similar workshop for the ladies. Our nationwide “Martus 2018” youth camp turned out being a great success. 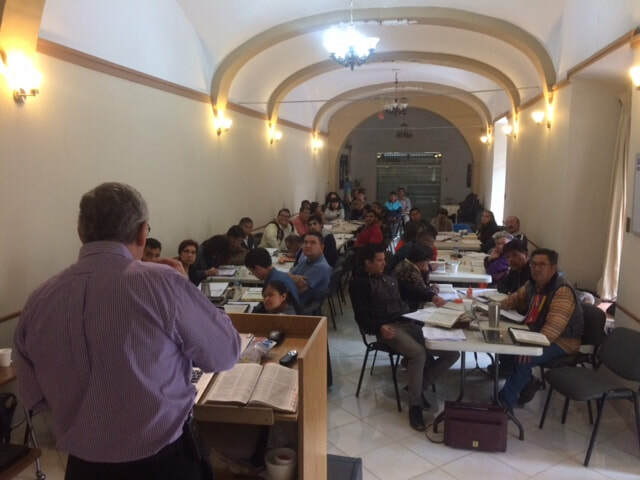 The churches in Santa Cruz hosted the camp which had close to 70 in attendance. We began this effort 4 years ago here in Cochabamba and hosted it for 3 years. Last year we decided to make this a national effort and bring all of the churches in Bolivia on board. So far, 10 congregations help to sponsor and organize this ministry. Our prayer is that “Martus” will help our kids develop into faithful witnesses of Christ. The work in Tiquipaya with Team Caleb is doing well. After their series of furlough trips they are all back in town and busy. Transito, their only single is no longer single. He and Melanie, from Viacha, just outside of La Paz were married on March 17th. Please keep them in your prayers as they both adjust to their new lives together. The church in Villa Pagador continues to do well, even though numbers have been down on Sunday evening. I continue to visit them on Thursdays and Sundays, teaching different Bible studies and preaching. I just finished a series on personal evangelism with them and have been preaching on the “4 Fundamentals of Church Growth” (Acts 2:42). They still continue to save up for a future permanent facility, but are perfectly happy where they are. They do receive lots of criticism from evangelicals in their community for not owning their own place, but they have come to understand that the building is not the most important thing, but that the people who meet in it are. It has been such a joy to see how far they have come, not being tied down to customs and traditions as they used to be. They have truly come to experience the joy of freedom in Christ. On March 23rd they celebrated their 5th Anniversary of what they call, “Coming Out of Egypt.” We are so proud of them! The Trinidad church continues to grow. 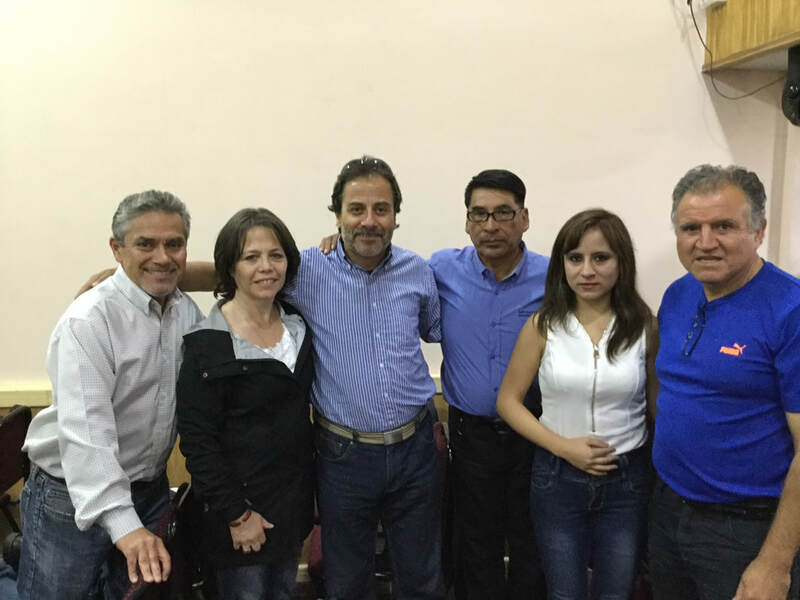 They received a visit from Teófilo Huaji from Santiago, Chile who spent close to a week with them. During his stay, 4 of his family members were baptized into Christ: his mother, his nephews Gabriel and Jesus and his niece Maricruz. We are so happy for them and the rest of the family that make up the church. Trish and I are planning another visit in April. The Downtown church in Cochabamba continues to do great. Our youth group has been a lot more active lately. Pablo and Camila have done a great job encouraging and keeping the group motivated and active. The ladies ministry continues to meet on Tuesdays for prayer and Bible study (usually between 15 and 20). They will be starting a series on Romans, Trish will be teaching the first class. I will be serving as a resource person for the study, helping the different ladies who will be teaching and then helping to answer questions that may come up. On Sundays I have been leading a Bible study on the Book of Hebrews. Javier and Yobani have been helping me out with it. They have done a excellent job teaching when I am gone. On Sunday morning I am also preaching a series on our duty before the civil authorities. This topic is very current due to the political environment in Bolivia. Trish continues to organize the children’s ministry. Lately Trish and I have been studying and visiting with a lot of new and future married couples. We are so grateful we are able to do this since it is needed so much. The whole idea of pre-marital counseling is so foreign this day in age. 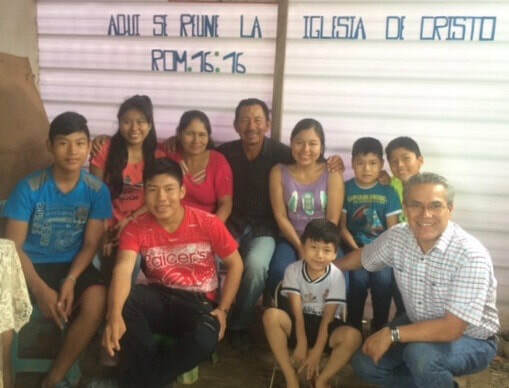 Please pray for our young couples, Verónica and Mateo (pic), Transito and Melanie and Carla and Luis. I continue to meet regularly with the men and different ministry groups in the church, planning for the future and resolving many domestic situations. Please keep us in your prayers as we go through this process of stepping back from positions of leadership, giving room to the local members to step up. Trish will be starting up 2 different small groups, one with the ladies and another helping all to learn new songs and improve on the ones we already know. We are all looking forward to this. In addition I will be teaching a short series on Homiletics, how to prepare and teach/preach lessons from the Bible. In the following months we are planning visits to Trinidad, Sucre and possibly Santa Cruz. We are also planning for a very busy month of June with visits from Jonathan Hanegan, the Forbess’, the Richardson’s, together with a group from Harding University and Timothy, a member of our first AIM team, together with his wife Amy Jo. Being full participants in God’s mission is such a privilege. God has been so gracious to us while we have been in Bolivia. It is so hard to believe that it has been over 12 years since we first arrived. As a matter of fact on April 11th we will celebrate 28 years on the field. It has been quite the adventure. Please continue to pray for us as we work towards completing our ministry vision. We are grateful to all of you who participate in our ministry, whether it be through prayer, encouraging notes or support. May God continue to bless all of us as we make His will our own. The glory will always be His!